The Tuscaloosa County License Office can process renewals and duplicates of Alabama driver licenses, and non-driver identification cards and certain Alabama commercial driver licenses at any of our locations except Vance. Driver licenses and non-driver IDs cannot be processed at Vance. Initial driver license and non-driver identification cards must be issued by the Alabama Law Enforcement Agency (ALEA). The current cost for a regular driver license or non-driver ID renewal is $36.25, and the cost for a duplicate is $31.25. Commercial driver license prices vary according to the type of license. For more information and lists of required documentation, visit the Alabama Law Enforcement Agency’s website at www.alea.gov/Home/wfContent.aspx?ID=30&PLH1=plhHome-DriverLicense. Copies of identification documents are not acceptable. The Tuscaloosa County License Office cannot process any of the following transactions. These requests must be processed locally at the Alabama Law Enforcement Agency (State Troopers) at 2645 Skyland Blvd E, Tuscaloosa, AL 35405. In compliance with the REAL-ID Act of 2005, the Alabama Department of Public Safety, now part of the Alabama Law Enforcement Agency, developed the STAR ID. The STAR ID (or an unexpired U.S. passport) will be required to board all commercial aircraft for domestic flights or to enter federal facilities that require identification. You can find additional information regarding the STAR ID online at www.alea.gov/StarID. According to the Alabama Law Enforcement Agency, the U.S. Department of Homeland Security has announced it will implement its enforcement phase no sooner than 2016. STAR ID cards can only be purchased at local Alabama Law Enforcement Agency Offices. 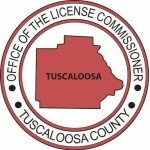 As such, STAR ID cards cannot be purchased through the Tuscaloosa County License Commissioner’s Office. The Tuscaloosa area Alabama Law Enforcement Agency office is located at the address below. If you live in Tuscaloosa County, please address any questions regarding STAR ID cards directly to the ALEA at (205) 553-0729. In order to purchase a STAR ID, the following documentation is required. You can find a list of approved documents online at www.alea.gov/StarID. Click on the Document List tab on the left side of the screen. Please note that your current driver license or non-driver ID cannot be used as a proof of address item. The Alabama Law Enforcement Agency suggests changing to the STAR ID at the time of your driver license or non-driver ID card renewal, but you can do so anytime. Please be aware, however, that if you change your regular driver license or non-driver ID to a STAR ID outside of the renewal period (60 days prior to the expiration date), your STAR ID will be processed as a duplicate, and your expiration date will be the same as the one on your current driver license or non-driver ID card.